Madison, Wis. - December 6, 2011-Associated Bank announced today that its branch located at 6007 A Monona Drive will relocate to 1574 W Broadway Ste. 107 on Dec. 12. 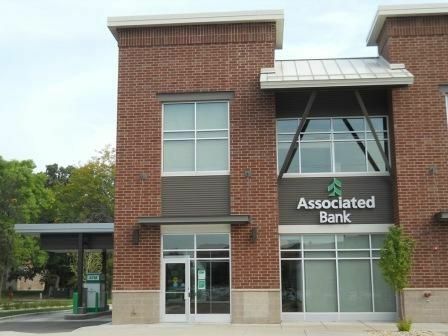 The branch will move to provide a more convenient location for customers and serve the neighboring Madison and Monona communities through its centralized retail location. The branch features a more revitalized layout than the existing Monona Drive location, reflecting the updated Associated brand style. "Our new Madison West Broadway branch is not only convenient for the residents of Madison, but will continue to provide convenience to Monona residents as well," said Dave Frank, Regional Retail Director, Associated Bank. "Associated values being part of such a close-knit community as Monona and plans to continue building on the relationships at our new location." Renovations at the new location will enhance the overall customers' banking experience. The addition of private offices provides customers with secure and confidential service, differing from the Monona Drive location. The new branch will feature a two-lane drive thru and a drive-up ATM. The new location will have a grand opening and ribbon cutting ceremony on Friday, Dec. 16 at 12:30 p.m. Associated representatives and key leaders from the Monona community will be present. Employees from the Monona Drive branch will transfer to the Madison West Broadway location. Associated Bank has chosen its construction partners for this location. To receive more information on becoming a partner on future projects, please visit the vendor service site at www.associatedbank.com.